Dr. Berger will take the time to answer all your questions prior to treatment and will help you select the procedure and material perfect for you! He and his courteous and knowledgeable staff know exactly what to do to help your teeth look, feel and perform like natural, combining aesthetics with structural integrity. Dr. Berger has been helping patients achieve beautiful, healthy smiles for over 15 years. Certified on state-of-the-art technology, he employs intra-oral cameras, high-speed and digital radiography, air abrasion and laser capabilities, and a wide variety of bondable esthetic materials to help you achieve the results you desire! Your comfort is our priority. Dr. Berger believes in pain-free dentistry. 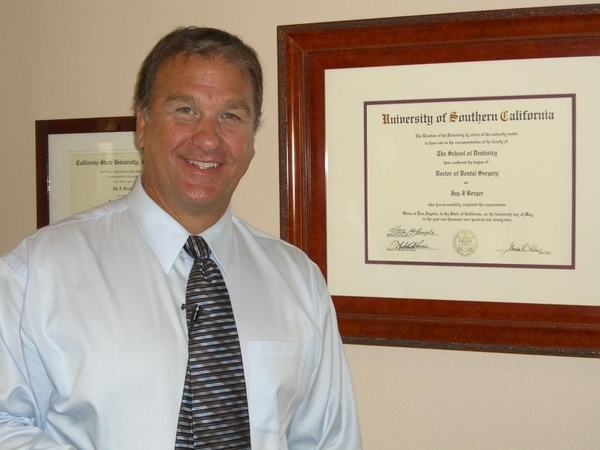 Dr. Berger is a graduate of the USC School of Dentistry.